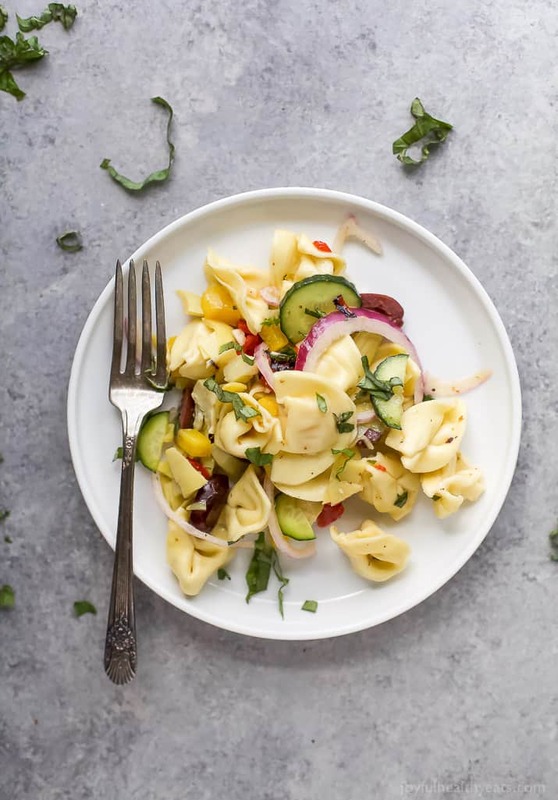 Easy Greek Tortellini Salad tossed with mediterranean veggies and a homemade greek vinaigrette for a lighter healthier taste. 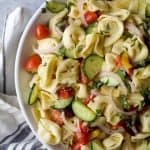 Easy 30 Minute Greek Tortellini Salad tossed with mediterranean veggies and a homemade greek vinaigrette for a lighter healthier taste. 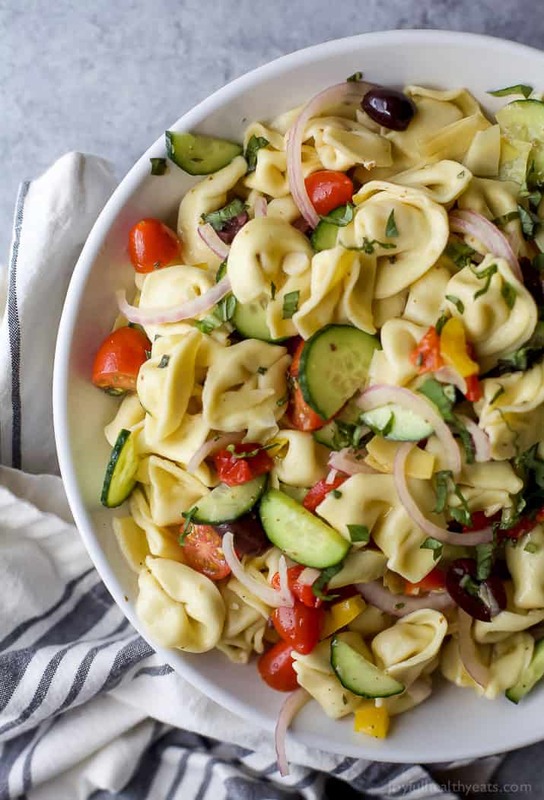 This Tortellini Pasta Salad is guaranteed to be the star at your summer BBQ’s. Woot Woot! Who else is excited!? 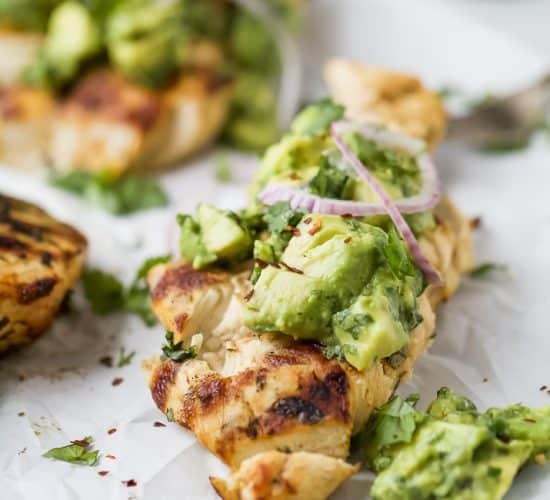 At our house, summer is all about that grill life and fantastic side dishes to compliment the grilled main dishes. I know I’ve been throwing a lot of salads at you lately and honestly they’re going to keep on coming. Salad is life! Especially in the summer. But todays salad is obviously a little different. Most of my salad recipes have a base of mixed greens (unless it’s the Lightened up Broccoli Salad) but todays base is Three Cheese Tortellini! In order to make sure your tortellini stay intact, instead of turning into a flattened mushy mess keep an eye on those tortellini while cooking. You definitely don’t want to put them in the pot and run off. I was a helicopter mom with those bad boys. As soon as they were just al dente I took them out and ran them under cold water to stop the cooking process. 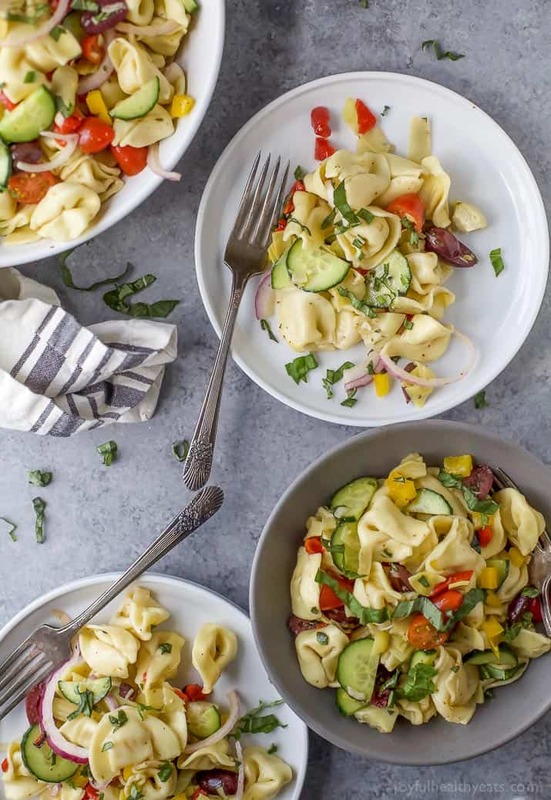 Then put them in the refrigerator to chill because this tortellini salad is best served cold. Once the tortellini were ready for their big debut I threw them in a large bowl and added loads of Mediterranean veggies to compliment the flavors … artichokes, roasted red pepper, red onion, oregano, kalamata olives, cucumber … the only thing I didn’t add was feta because honestly three cheese tortellini is enough! After all the veggies joined the party I tossed everything with a light homemade greek vinaigrette! 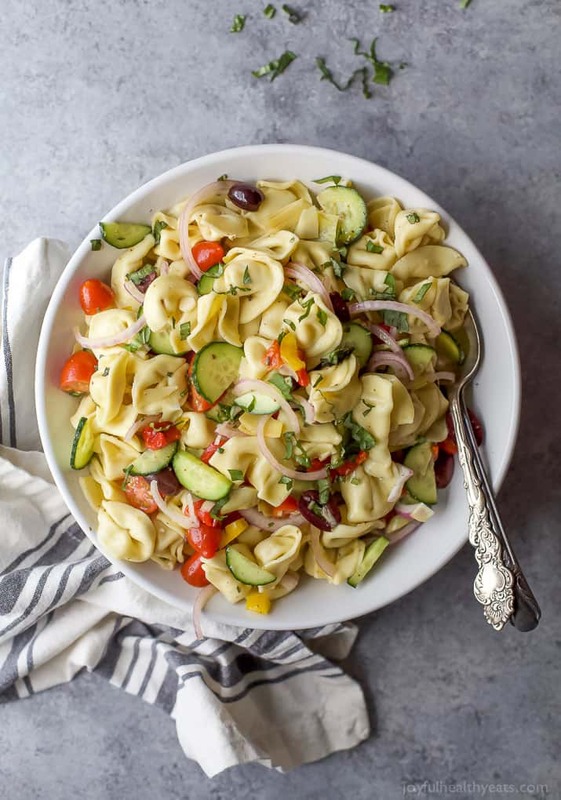 This Greek Tortellini Salad is easy to make, light and refreshing. 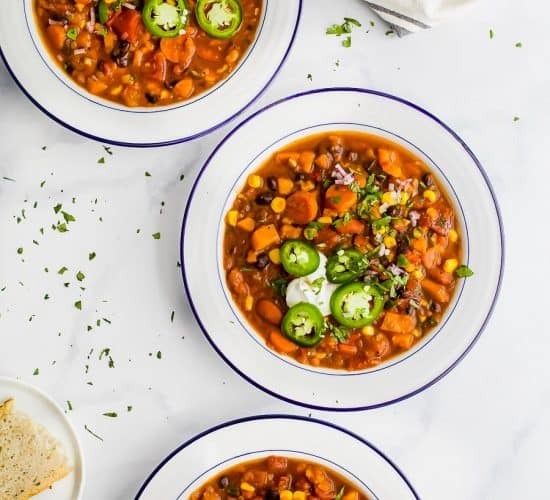 It’s definitely perfect for all those summer BBQ parties and is even great for a weeknight meal. You could eat it plain or serve it along side some Salmon or Grilled Chicken. Bring a large pot of water to boil. Season boiling water with salt. Add cheese tortellini to the water. Stir so tortellini don’t stick. Cook pasta according to package instructions. (about 7-9 minutes) Remove tortellini from water and drain. Rinse under cold water. 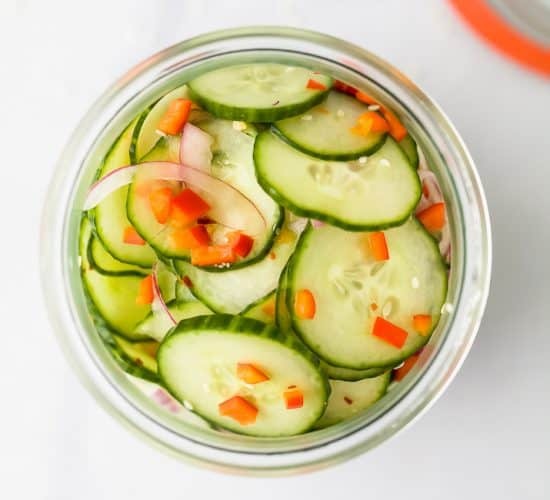 Let chill in refrigerator while you are preparing the other ingredients. 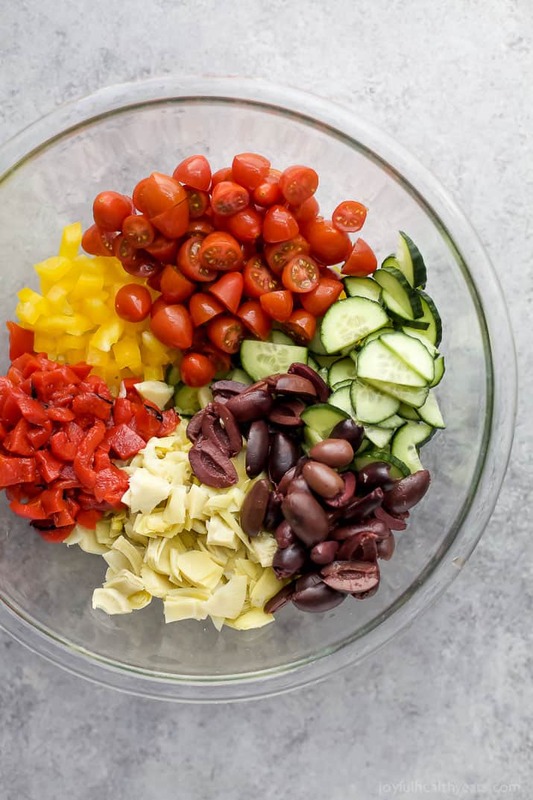 To a large bowl add chopped artichoke, yellow pepper, roasted red pepper, cherry tomatoes, kalamata olives and sliced onions. Set aside. To a small bowl add minced garlic, fresh oregano, fresh basil, dijon mustard, honey, red wine vinegar, olive oil and salt to taste. 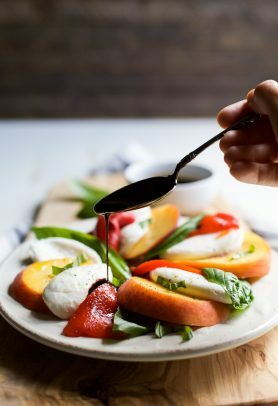 Whisk together until emulsified (the oil and vinegar no longer separate) and you have a dressing. Add chilled tortellini to bowl with the chopped vegetables. 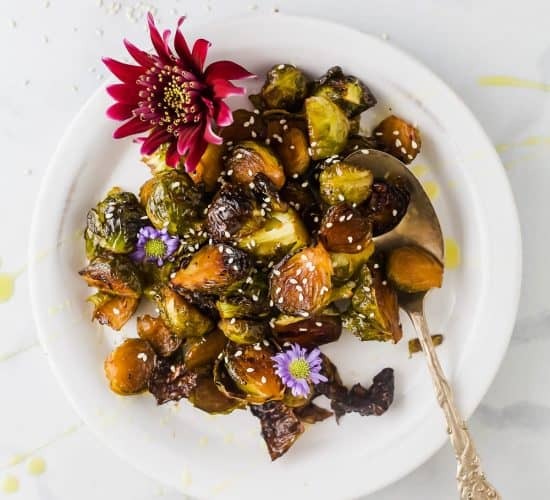 Pour the dressing over top and gently toss to coat everything with the sauce. Serve. 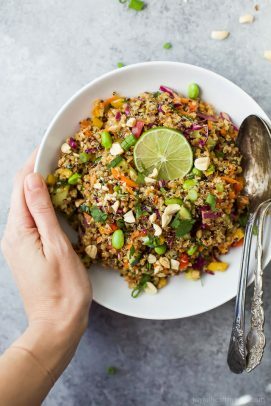 Want More Summer Side Dishes? 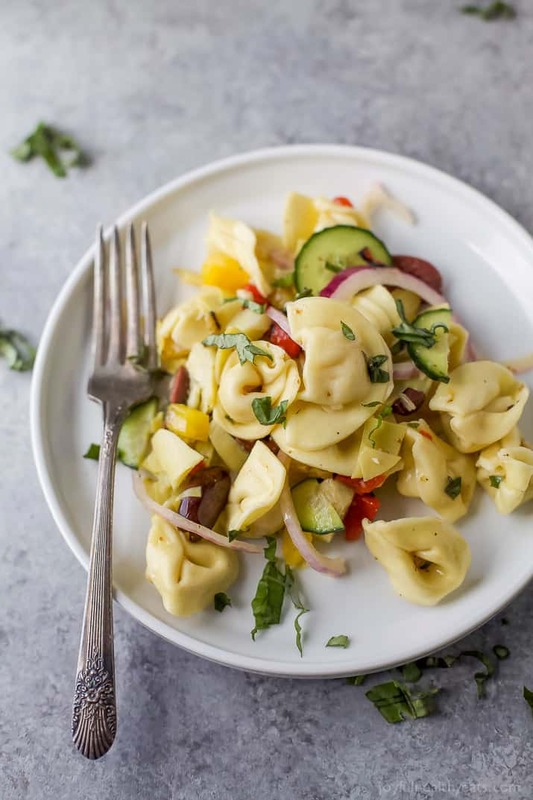 My kids love tortellini, so I can’t wait to try this! 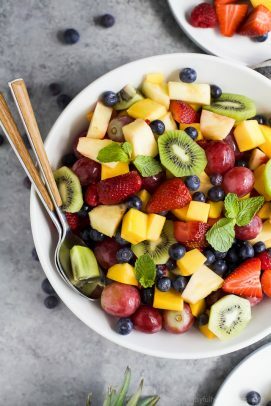 This looks so healthy and amazing! The pictures make it look amazing!! 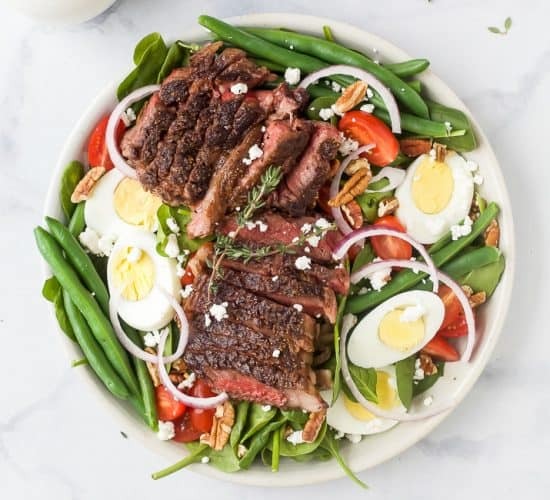 This looks so fresh and flavorful! Right up my alley! 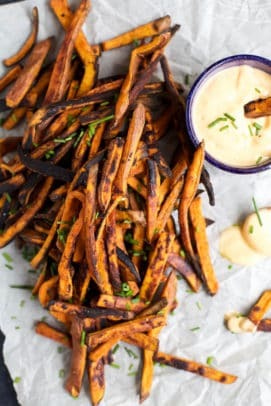 Looks delicious and so easy to make! Definitely must try! 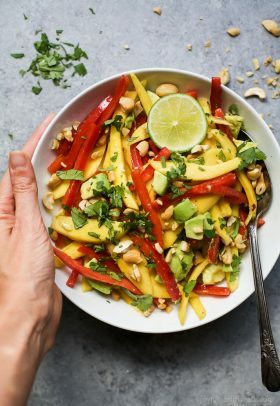 Sign me up for a big bowl of this pasta salad! Perfect for summer parties too! Looks so light and fresh! This will be a great lunch! What great flavors & ingredients! I’m really loving the dressing and think I’ll be trying that sooner than later!